As a wholly Independent Financial Adviser (IFA) we are free to source investments and other financial products and services from across the whole of the marketplace. This is because we, unlike many other financial advisers, are not tied to any other companies or providers of financial products or services, and as such we are deemed truly independent. As an example, many advisers from banks are not independent are may therefore only offer advice on their own financial products and services, or of those from another provider who they have partnered with. Not being completely independent means they are unable to offer advice on and source products from the whole of the market, and as a result you may not be getting the best products and services given your individual circumstances and specific needs. Conversely, investing with an IFA like ourselves, could result in a more suitable and cost efficient creation of an investment portfolio or the purchase of a financial product or service, as we are free to consider all products and investments from across the whole of the marketplace. Here at Allan Investment Management, we ensure that each and every client is treated on an individual basis, taking into account your individual circumstances and requirements. 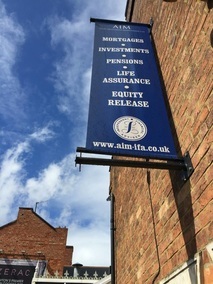 Our IFA status is worn by us as ‘badge of honour’ and we ensure we uphold that duty on each and every client engagement. We strive to ensure all of our clients are getting the best from their investments, and we believe our client testimonials demonstrate this level of trust that clients place in us. Please contact us to find out how we could help you improve your financial situation.